Some books are so quiet and lovely that readers are left sitting very still, with eyes closed, just soaking up the good vibes. 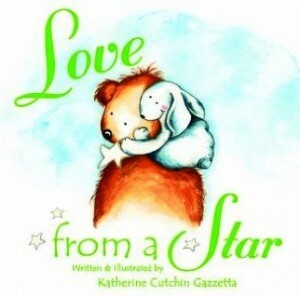 Love From a Star, a new picture book by author/illustrator Katherine Cutchin Gazzetta, is one of those books. Written for early readers through kindergarten ages, Love From a Star story focuses on an adorably fuzzy bear and his beloved stuffed bunny. The two stick together like glue and share many things, like a cozy bed, colorful summer wildflowers, falling leaves, and even a skinny dip in a shallow lake. But the premise, “I will love you forever,” is not just for Bear and his stuffed companion. It is for all creatures, great and small, who have ever loved or been loved by anyone at any time in their lives. 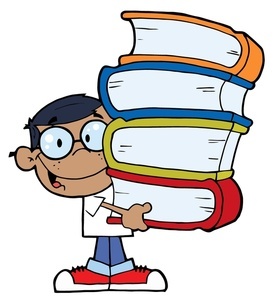 In fact, it brings to mind that age-old promise from the bible days that states: “neither death, nor life, nor angels, nor principalities, nor powers, nor things present, nor things to come, nor height, nor depth, nor any other creature, shall be able to separate us from the love of God” (Romans 8, 38-39). Ms. Gazzetta’s illustrations are as soft and quiet as her prose. Bear is cinnamin-brown and squeezably fluffy, and bunny has adorable floppy ears any child would want to fondle, and soft mounds of snow-white fluff that just might inspire an afternoon snuggle-fest. For children separated from parents or grandparents for any reason; for teachers who want to demonstrate the feel and meaning of love; for winding down after a long and hectic day out in the world; or for snuggling up with a toddler in front of a warm fire, Love From a Star is just what the love-doctor ordered!